Rarely tested but was well positioned to keep two Czech efforts out early in the second half. Had few problems defensively and provided a useful attacking outlet too, linking up effectively with Jadon Sancho on England's right. A commanding presence in England's backline. Had some nice moments striding out of from defence and also showed his range of passing with some accurate long-range distribution. Complimented Maguire well at the heart of the England defence. Well positioned throughout to limit the Czech to few chances. Another solid performance from the Leicester full-back, whose stock continues to rise in the England setup. Tidy performance from the Liverpool man. Kept things ticking over in midfield and also got forward well, sending one shot over from a Sancho cut-back. On the end of a sore challenge from Tomas Soucek on 13 minutes from which he never recovered. Lasted just another four minutes before making way for Ross Barkley. Another excellent performance on his first competitive start for England. 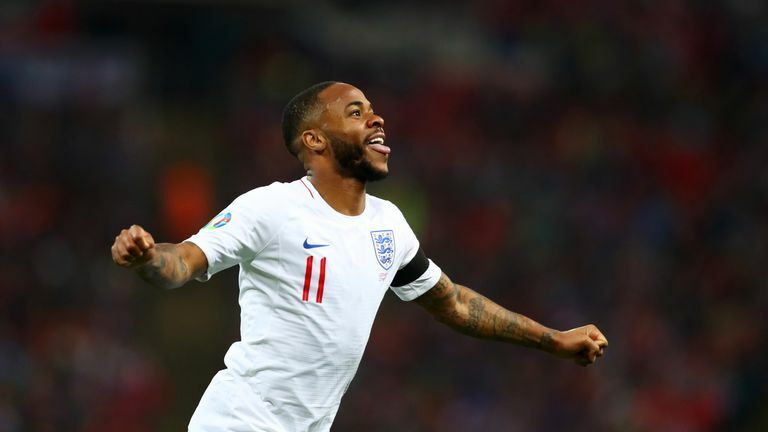 Set up Raheem Sterling's opener and also played a key role in the fifth goal, charging through Czech Republic's midfield before finding Callum Hudson-Odoi. Should have got in on the act in the second half but was a valuable cog in the England attack, linking the midfield with the attacking flair up front. England's hat-trick hero. An outstanding performance which underlined his growing importance to Gareth Southgate's side. Was a constant threat to the visitors, also winning the penalty for the second goal. A tough ask to eclipse the form of Sterling and Sancho but captain Kane dispatched his penalty with a trademark finish and could have had more goals on another day. An early introduction for the injured Dier. Added to England's attacking threat with some powerful runs and smart passing. A 63rd-minute substitute, the West Ham midfielder was composed on the ball on his England debut, with 92 per cent of his 25 passes reaching their target. Picked up the baton after replacing Sterling with a sensational cameo on his England debut. Nearly capped the occasion with a goal of his own, though Tomas Kalas' own goal was a worthy consolation.